1. Celebrating 1962 : A Golden Jubilee of National Blunder. CELEBRATING 1962 : A GOLDEN JUBILEE OF NATIONAL BLUNDER ! “ ...... a permanent piece of education ......” , Pandit Nehru referring to the 1962 debacle. Who, in his right senses, would ‘celebrate’ a national debacle that rankles Indian conscience even after fifty years? Recalling those days of late 1962, it is impossible to forget how terrible the trauma was. Shaken out of a fifteen years long dream-sequence of ‘swadheenta’ (freedom), every citizen of India was seized with grief as the news of the debacle filtered through. The wound upon the collective psyche` was aggravated by stories of unimaginable gallantry shown by officers and soldiers of the Indian Army in face of deprivation, death and defeat, and the contrasting breakdown of the ‘will to fight’ among many of the top military leadership. The political leadership, made of personages of impeccable vision and honour, was overwhelmed by the guilt of having invited war on an ill-prepared nation. The nation went into mourning. A fear of revisit of that situation remains palpable in the defence establishment till today. Chinese President Xi Jinping wants his military to be as powerful as America’s by 2050 — and his control of major economic and military institutions in his country could help him do just that. That’s one of the major takeaways from an annual congressional report released Wednesday morning. The US-China Economic and Security Review Commission, which provides lawmakers with a yearly update about developments in Beijing, noted that the country has made significant advancements in hypersonic weapons, cyber abilities, and space defense. 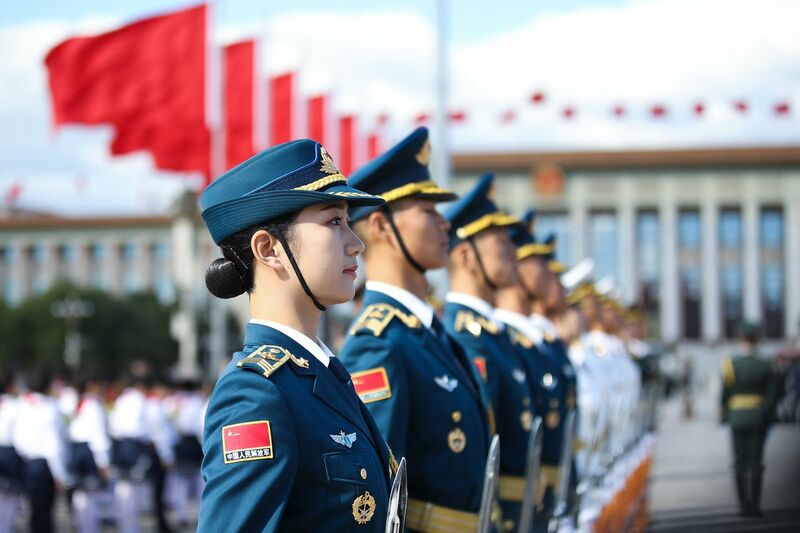 What’s more, Xi has promoted greater integration among Chinese military services. That means the country is moving toward a “joint” model similar to the way America’s military branches like the Army, Navy, Marines, and Air Force operate with one another. China’s military modernization is expanding to the open ocean, and the U.S. Navy is worried. While the United States Navy struggles to figure out if, how and when it can expand the size of its combat fleet by 47 ships—a 15 percent increase—China’s military modernization efforts are cranking out around a dozen new large warships a year. Recently, the busy shipyard in the port city Dalian put to sea China’s second aircraft carrier, following up on that milestone two months later by simultaneously launching two Type 055-class cruisers. With the U.S. Navy being the only other fleet to operate a large number of vessels of such size and capability, the pace and scale of production at Chinese shipyards is a sign of Beijing’s desire for a fleet commensurate with its perceived status as a great power. Why Is America So Scared of China? More and more, Americans seem to fear China. In one sense, their reaction is understandable enough. As China has gained power—economic, technological, and military—it has morphed from almost an American protégé to a rival. American enthusiasm from earlier in this century, including even wonder at how quickly China adapted to markets, has been replaced by a more realistic wariness. Even considering the altered power balance, today’s fears seem to have taken leave of reality. Although China does indeed present much about which to be wary, even to fear, it is not as formidable as some now seem to claim. It has weaknesses. People, policymakers especially, need to recognize those weaknesses as well as China’s strengths. Alignments in the Middle East have long been shifting tectonic plates. For decades, regional powers—particularly Iran, Iraq, Israel, Saudi Arabia, and Turkey—have competed to maximize power against the backdrop of interventions by Russia, the United Kingdom, and, later, the United States. Until recently, the United States and its regional allies—Israel, the majority of the Arab Gulf states, and Turkey—were aligned against Iran. In the aftermath of the 2015 Iran nuclear agreement, it seemed certain that these regional powers, backed by Washington, would succeed in isolating the mullahs. But myriad domestic, regional, and international factors have combined to obviate this long-standing status quo. The most significant result of these developments has been Turkey’s drift away from the United States and toward Iran and Russia. Chief Brexit negotiator Michel Barnier told a meeting of EU27 ambassadors Friday morning that whatever political “difficulties” Theresa May is experiencing in London, the bloc has a “duty” to stand firm on its key Brexit red lines, according to EU diplomats present. For her part, May is standing firm on the deal in the face of a gale of criticism and is intent on pushing the deal to a vote in the House of Commons. But if political opponents in her own party succeed in forcing her to seek a better deal, there is no sign that any of the EU27 red lines will change. As Britain agonises over its destiny, I’ve been in Brussels discovering what other Europeans think about Brexit – and therefore what real options Britain still has. Essentially, there are just two. Europe’s door is still open for Britain to stay, if we vote to do so in a second referendum, preferably before the European elections in late May. Otherwise, most of our fellow Europeans would rather we left on 29 March, leaving everything else to be sorted out later and allowing them to get on with confronting their own big challenges. Of course, it’s impossible to generalise about the views of some 450 million Europeans, but among the leaders and official representatives of the 27 other member states, and the European institutions, there is a remarkable degree of consensus. They are fed up to the back teeth with how long the Brexitdrama has taken and how unrealistic the British side has been. In past posts I have stated that the pundits expectations of a devastating trade war was overblown. For October, there were a record number of loaded sea container imports that passed through the Ports of Los Angeles and Long Beach. The graph below shows the significant growth of import containers in October. If the United States went to war with Russia or China tomorrow, the military would almost certainly suffer a ” decisive military defeat,” so far that the “security and wellbeing” of the U.S. “are at greater risk than at any time in decades,” according to an alarming new assessment of the Trump administration’s 2018 National Defense Strategy. - The report, composed by a bipartisan National Defense Strategy Commission selected by Congress, suggests that a likely U.S. military campaign against the Russian military in Northern Europe or with China over the island of Taiwan would yield “enormous” losses of both military personnel and “capital assets” (ships, aircraft, and other vehicles) for the United States. US President Donald Trump's tariffs on imported steel are a perfect example of how protectionism can raise costs for consumers and producers, destroy jobs, and undermine domestic competitiveness. Now that he is considering additional tariffs on imported automobiles, a wide range of US industries should be very worried. WASHINGTON, DC – After World War II, the United States led the world in reducing protectionist barriers and establishing an open, rules-based trade system. That effort resulted in a half-century of the most rapid economic growth in human history. But US President Donald Trump’s administration is now reversing that progress. The protectionism that Trump has unleashed is contagious and will likely spread well beyond the industries that he wants to insulate from foreign competition. In an email to me, Cambridge University scholar Aleksandr Kogan explained how his statistical model processed Facebook data for Cambridge Analytica. The accuracy he claims suggests it works about as well as established voter-targeting methodsbased on demographics like race, age and gender. If confirmed, Kogan’s account would mean the digital modeling Cambridge Analytica used was hardly the virtual crystal ball a few have claimed. Yet the numbers Kogan provides also show what is - and isn’t - actually possible by combining personal datawith machine learning for political ends. Due to ever-evolving technological advances, manufacturers are connecting consumer goods -- from toys to lightbulbs to major appliances -- to the internet at breakneck speeds. This is the Internet of Things, and it's a security nightmare. The Internet of Things fuses products with communications technology to make daily life more effortless. Think Amazon's Alexa, which not only answers questions and plays music but allows you to control your home's lights and thermostat. Or the current generation of implanted pacemakers, which can both receive commands and send information to doctors over the internet. But like nearly all innovation, there are risks involved. And for products borne out of the Internet of Things, this means the risk of having personal information stolen or devices being overtaken and controlled remotely. For devices that affect the world in a direct physical manner -- cars, pacemakers, thermostats -- the risks include loss of life and property. 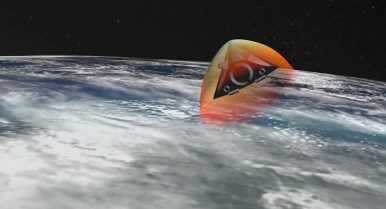 Editor’s Note: The following is an edited and compressed version of remarks delivered by the author at a recent workshop in Geneva, Switzerland, hosted by the United Nations, on the international security implications of hypersonic boost-glide weapons. I’ve been asked to address an important topic that is overdue for serious attention in the area of international disarmament studies and arms control. I’ll be building on the earlier presentation we received from on the state of long-range conventional weapon technology worldwide and focus mainly international security implications of hypersonic weapons, focusing primarily on the subgenre of hypersonic boost-glide weapons — HGVs, for short — which present, in my view, a pressing set of challenges. November 11, 2018, was a special day. Do you know why? Because it was the centenary of Armistice Day. A 100 years ago, at 11.00 am on November 11 — the 11th hour of the 11th day of the 11th month — the signing of the armistice between the Allies and Germany at Compiegne, France, brought World War I to an end. When the war began on July 28, 1914, no one believed that it would last for four long, dreadful years. This was the first truly global war involving countries across all the continents. Over 30 countries were involved, with the main combatants — Britain, France, Russia, Italy, Serbia, and the U.S. on one side and Germany, Austria, Hungary, Bulgaria, and the Ottoman Empire on the other. From a regional conflict in the Balkan states of Europe, the war engulfed not only the continent but also spread to Africa and West Asia. Countries as far away as Canada and Australia also joined the war as did colonies of Britain like India. Over 65 million men joined the armies of their countries either voluntarily or through conscription.